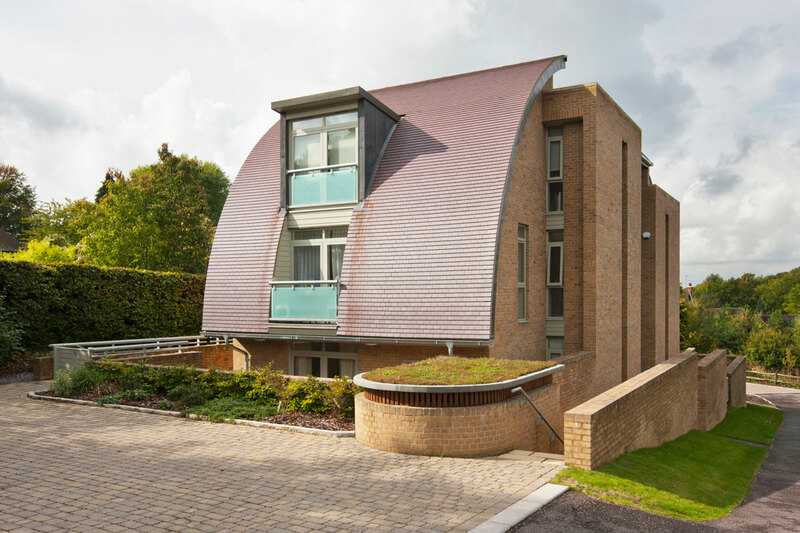 A new block of 6 luxury apartments on a steeply sloping site with splendid views across a wooded valley. 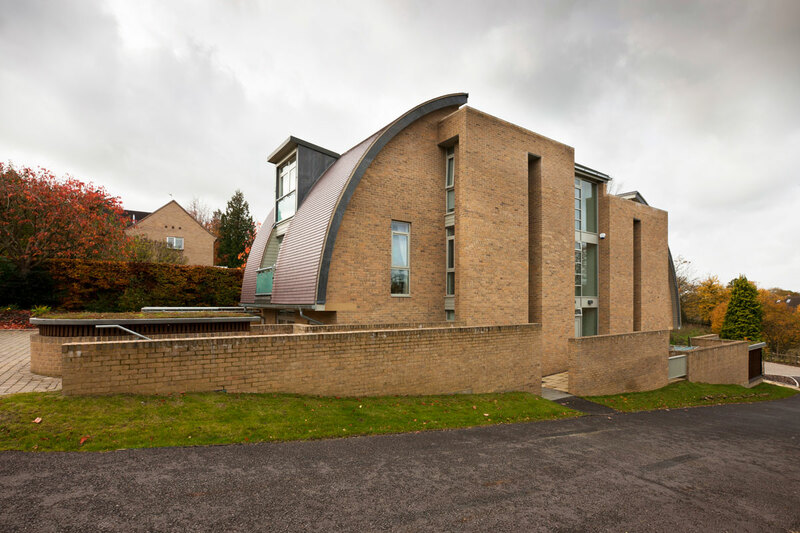 Because the site sits in a run of large detached houses the front has a domestic scale and feel; the curved roof sweeps down low and the full scale of the building only reveals itself from the flank. 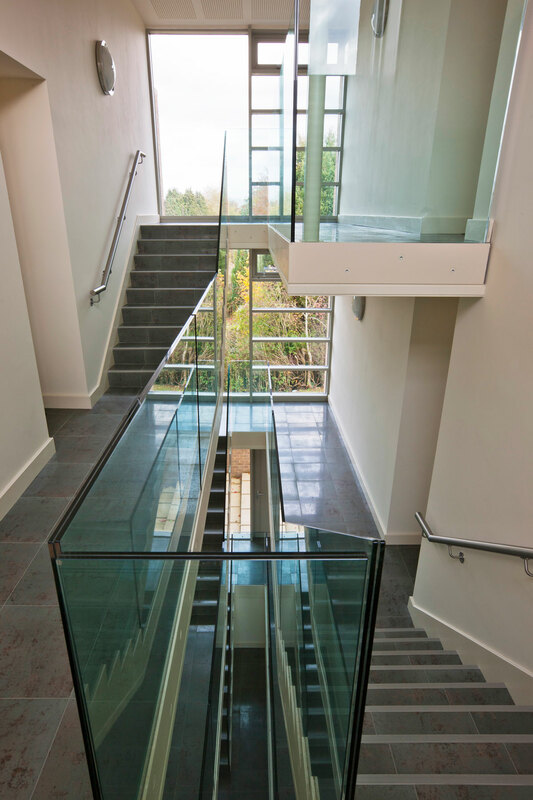 The flats within are accessed from a dramatic stair lobby which gives the small block a sense of grandeur and simultaneously a sense of community – unlike so many blocks of flats where the stair is poky and alienating.